The Gothic Revival–style pump house was made from sandstone from the Stout quarries and soft brick manufactured locally. 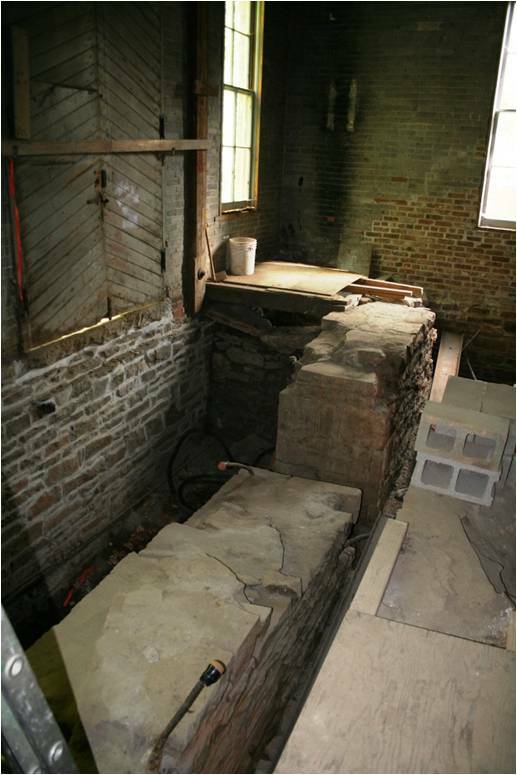 Water from the supply ditch canal entered this room and drove the two American Water Wheel Company turbines, which powered four Holly-Gaskill piston pumps. A regulator was used to automatically adjust the supply of the forced filtered river water down the wrought iron pipeline to Fort Collins. The names of the Fort Collins officials involved in the 1882–1883 Water Works construction are listed on a sandstone plaque mounted on the east wall above the doors. The windows are Tudor-style with sandstone crown arches. This allowed even lighting of the work areas. 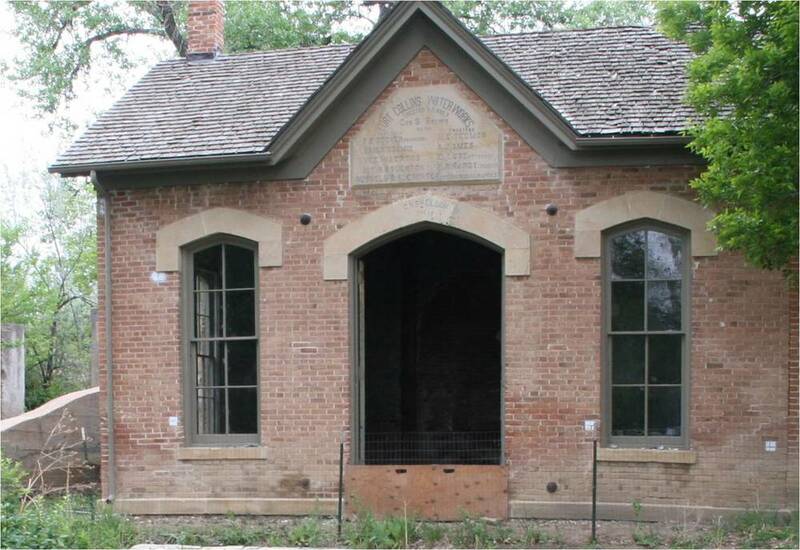 The names of the Fort Collins officials involved in the 1882-1883 Water Works construction are listed on a sandstone plaque mounted on the east wall above the doors.